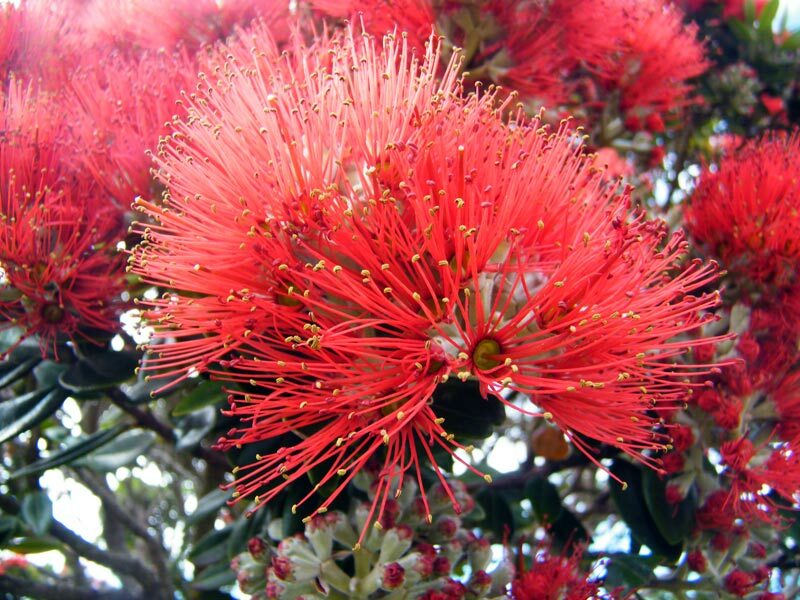 Endemic to Aotearoa, the Pohutukawa is also called the New Zealand Christmas Tree. It's because the tree starts blooming in summer which incidentally commences in December. 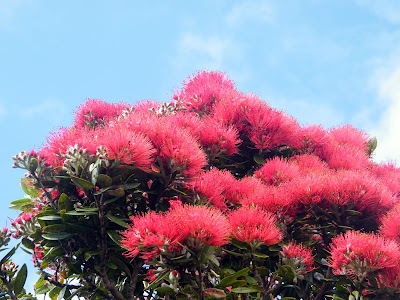 Its bright red colour, offset by the green foliage of the tree, makes it as festive as the season. 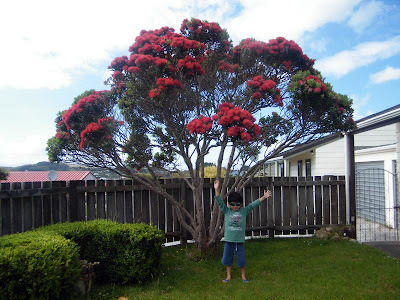 I've seen a couple of bees enjoying the tree too. Hmmm... time to bring out the ukulele!